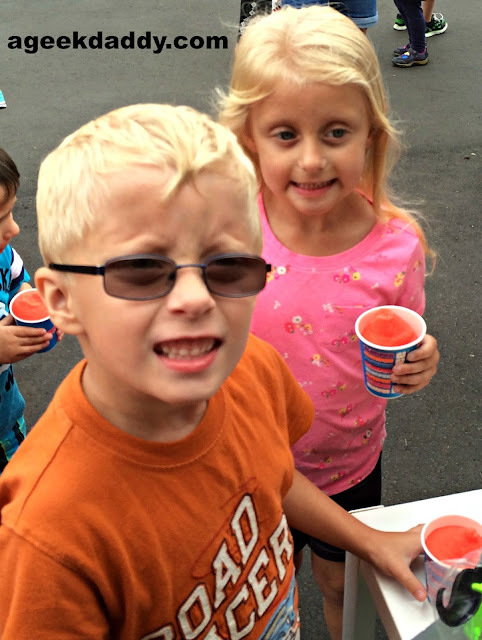 One of our family's favorite summer treats is a Slurpee from 7-Eleven. So when we heard that a Metro Detroit franchisee was was going to be crowned as the first-ever Slurpee Queen because her 7-Eleven convenience store sold more of the icy treats than any other location in the United States we had to check it out! 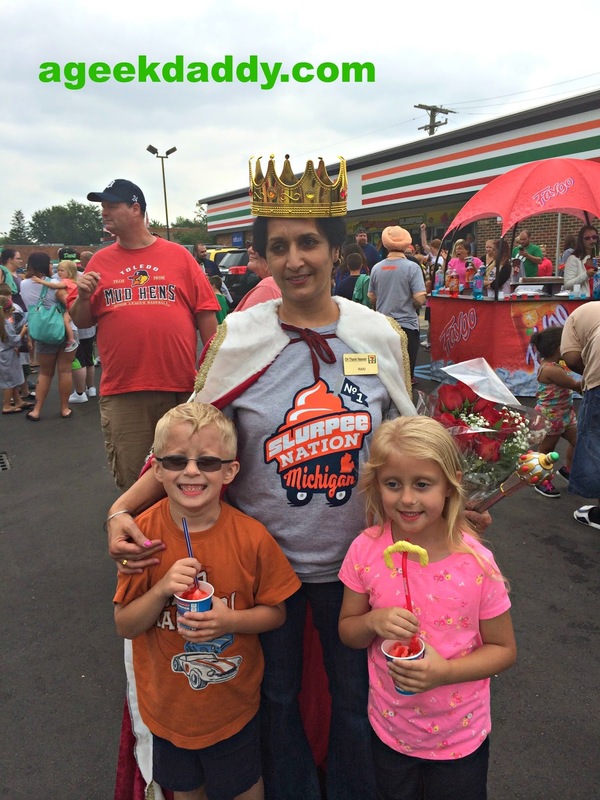 49-year old Rani Singh was crowned at a special event at her Taylor, Michigan store by 7-Eleven officials on July 8, 2015. 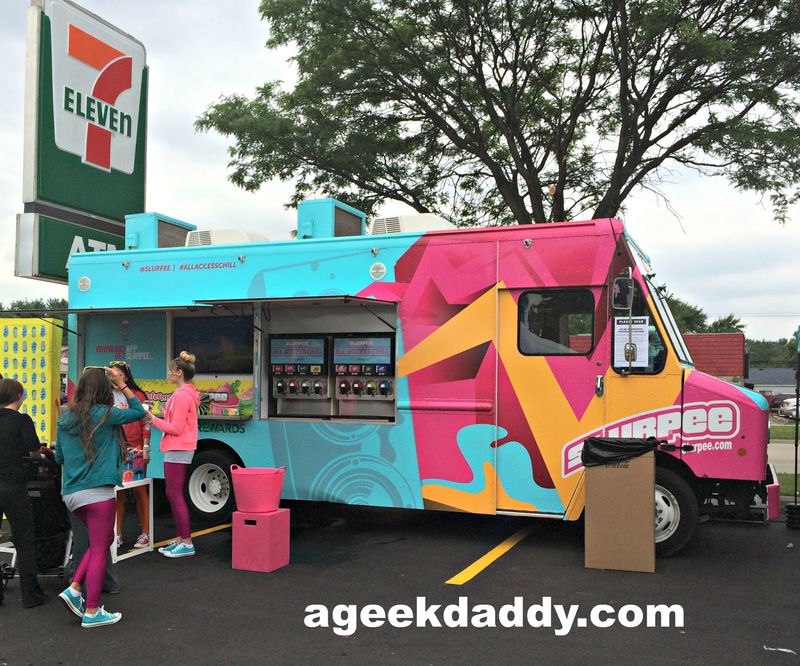 The public was invited to witness the ceremony and treated to a free Slurpee from the 7-Eleven traveling Slurpee truck during the occasion. I guess it should be no surprise that it would be a local store that would be recognized for selling the most of these icy drinks nationwide because Metro Detroit has been dubbed SLURPEE NATION. It is the Number 1 market for Slurpee sales in the United States selling 3 times the amount of Slurpees compared to anywhere else in the nation. Singh's 7-Eleven located at 20945 Ecorse Road in the Detroit suburb of Taylor averages 375 Slurpee sales per day throughout the year and during the summer months that number escalates to 1,000 sales per day. So Rani Singh reigns as the queen of a Slurpee Nation that 7-Eleven estimates will drink 2 million of the icy treats during the month of July alone. Yes us Michiganders do love our Slurpees! During the Slurpee Queen coronation, visitors to the 7-Eleven were treated to free Slurpees where you could choose from Wild Cherry, Sour Patch Watermelon, Coca-Cola, Dr. Pepper, or the 3 flavors that are currently exclusive to the Detroit area Vernors Ginger Ale, Faygo Red Pop and Faygo Rock & Rye. The kids were treated to a candy bar where they could add some sour patch or gummi candies to their Slurpee. 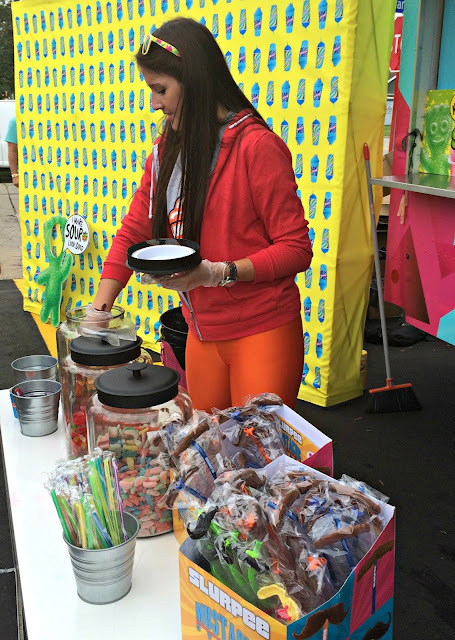 During the event Singh's store debuted the first Lemonade Slurpee machine to be installed within a US location that allows customers to blend together lemonade with raspberry, strawberry, blueberry or mango flavors which is a nice alternative to the existing soda options. We were also treated to a taste test of two of Faygo Beverages' newest soda flavors: Cotton Candy and Candy Apple. Plus we were provided with a bunch of swag including mustache straws and Faygo backpacks. 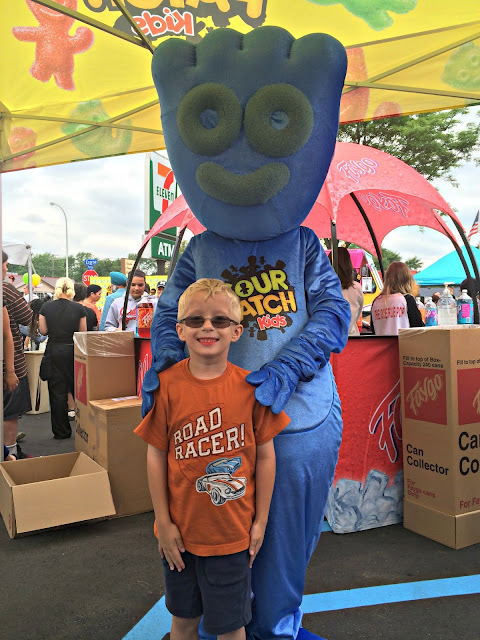 Though the complimentary drinks and swag were great, I have to say the highlight of the event was seeing my son thrilled to meet the Sour Patch Kid. Congratulations to Rani Singh for her business's accomplishment and this nice recognition...long live the queen! 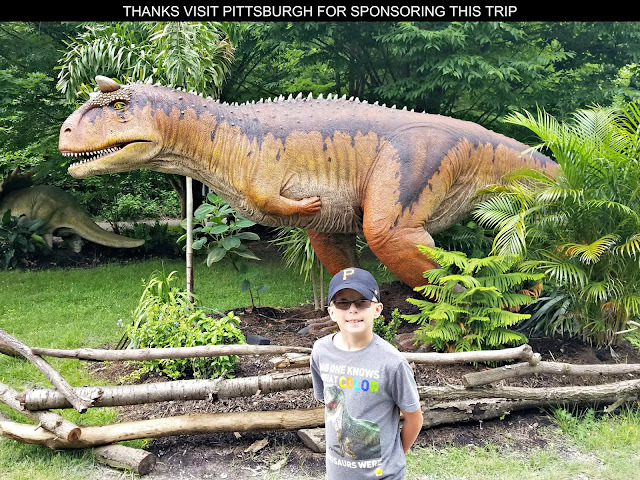 Thanks for throwing a nice shindig - we had a great time! 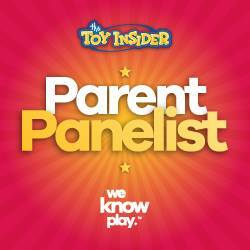 That looks like a lot of fun. I read about her being crowned Slurpee Queen on the Freep's site the other day.